European cruise – The open fjords, the lava caves and the breath taking and continental cities of Europe make it a top destination for cruises. Europe’s collection of countries differ greatly, not just in terms of language, but landscape too. If you’re on a European cruise, there are some must-see destinations, which demonstrate the diversity of this small continent. Relics from ancient civilizations make for sites of interest both visually and archaeologically. To look at some of the best European cruises, head over to Bolsover Cruise Club and hunt for the best itinerary, including at least one of these gems. With some of the most impressive architecture, stunning miles of beaches and a vibrant food market in its center, Barcelona is a European city that has it all. Including a port, which enables it to be easily accessed on the cruise circuit. Soak up the sun and the quirky entertainment as you stroll down Las Ramblas or visit Gaudi’s Parc Guell, with its impressive views of the city and cascading bougainvillea. Getting lost in the backstreets of Barcelona and uncovering some of its quirky restaurants, bars and galleries are all part of the fun. Like a living gallery, everything in Barcelona is covered in fantastic street art, and the beaches often boat impressive sandcastle structures. Sprawling and cosmopolitan these days, Rome is home to the impressive ruins of the Colosseum and speaks of its history in almost everything you see. Whilst it is vast, there is a lot of Rome you can see on foot and its impressive history lives through its monuments. Offering some of the most incredible experiences, Rome is a must-not-miss place that frequently crops up on European tours. From shopping to culture and history to contemporary, Rome has a slice of something for everyone, and of course pizza! A million miles away from the cosmopolitan cities and resplendent architecture of the other two destinations, a European cruise with a difference takes in all of the incredible Viking history and dazzling archipelago that make up parts of Norway. Slowly moving through these deep crevices in the landscape and imaging our Norse forefathers’ fleet maneuvering through them is nothing short of majestic, and is the kind of once in a lifetime experience that a cruise should be. Offering unrivaled scenery, Norway cruises are a unique way to connect with history. Arguably Scandinavia’s most naturally picturesque capital, Helsinki is an energetic seaside city compromised of beautiful islands and vast green parks. Any one of the 300 islands that compromise its archipelago are worth a visit and none get too crowded although Pihlajasaari is only a short ferry ride from the heart of Helsinki and has all the forest and wildflowers you’ll need to enjoy an authentic Finish experience. The design scene in Helsinki is also widely regarded as one of the most advanced in the world today, with the boutiques, workshops and galleries that make up its design district contributing to its 2012 status as the World Design Capital. Located in the extreme south of Croatia, Dubrovnik is a stunningly beautiful city with a rich history as well as great modern cultural significance. Otherwise known as ‘the pearl of the Adriatic’, Dubrovnik became a Unesco World Heritage Site in 1979, largely because of its majestic Old Town. Although severely damaged by an earthquake in 1667 much of the city’s Gothic, Renaissance and Baroque churches, palaces and statues remain and provide the perfect architectural base for King’s Landing in HBO’s epic fantasy series Game of Thrones. Filming tours now take place in the old town and offer fans of the show a unique chance to see the buildings that inspired the television version of the Red Keep, Blackwater Bay, Great Sept of Baelor. Often regarded as the birthplace of Western civilization, Athens was a cultural hot spot for tourists before many modern-day countries even came into existence. Today, Greece’s capital is a perfect mix of ancient and contemporary with two thousand five-hundred-year-old buildings standing side by side with state-of-the-art tower blocks. Home to well over 3 million Greeks, construction for the 2004 Olympics did much to help alleviate the pollution and overpopulation that had become heavily associated with Athens during the twentieth century. The city where East meets West, Istanbul is the point at which Europe and Asia touch. One of the few places on earth, you’ll see almost as many as holy Christian landmarks as you will holy Islamic landmarks, Istanbul has an embarrassment of historical sights of interest. Everywhere you visit in the city, you’ll find museums, palaces, grand mosques and churches that attest to the city’s magnificent history as the capital of the Roman, Byzantine and Ottoman Empires. No trip to Istanbul is complete without visiting the vibrant and busy Grand Bazaar, located at the heart if Istanbul’s Old City for centuries. Starting as a small vaulted warehouse, built in 1461, it grew to cover a vast area of neighboring shops and is now the countries’ largest covered market. Portugal’s busy capital city offers a perfect combination of history, culture, modern architecture and natural beauty. Its hilly landscape will have you wandering from quiet courtyards overlooking gothic quarters to modern terraces offering magnificent views across the whole city. Saint George’s Castle is the landmark most commonly associated with the city and can be seen from anywhere inside Lisbon’s perimeter. The Lisbon locals are renowned for their nightlife so why not join them for sunset shots of traditional ginjinha (cherry liqeur) in their unrivaled cultural hot spot, Bairro Alto, where revelers hit the street to chat, drink and dance before heading to the city’s riverside mega club Lux. As if the crystal clear turquoise of the Mediterranean were not enough to convince you that a blue cruise is the ideal way to spend your next holiday, read below for more reasons including discovering historical gems, enjoying luxurious mud baths, and finding romance in a lighthouse at sunset. On your cruise from Marmaris to Fethiye, one of the historical highlights is the ancient city of Kaunos. According to ancient myth, Kaunos was named after King Kaunos who was the son of the Carian King Miletus and Kyane and the grandson of Apollo. His twin sister, Byblis, developed a deep love for him, and when she told him of her feelings, he fled elsewhere to settle down with some of his followers. Byblis, crushed with sadness, tried to commit suicide. The myth claims that the Calbys river is a product of her tears. Later Kaunos developed into a major port between Lycia and Caria. Guests can take a river boat trip to see the ancient Lycian tombs, the resting places of Kaunos kings, built high in the rock face. 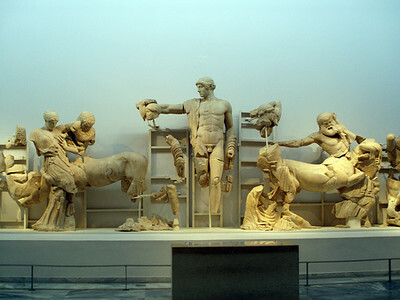 Overlooking the sea and the delta area, the key things to see include the Acropolis surrounded by city walls, four temples, an agora, a theater, the baths, churches and a cistern. Even if you are not a history buff and there is much more to this part of the trip than archaeology and old ruins. Take the trek up to the top and soak in magnificent views of the surrounding scenery. On to Dalyan to take a mud bath and/or relax on Turtle Beach, a protected beach for endangered sea turtles. Caretta Turtles (logger head turtles) still lay their eggs there. Dalyan is a city with a lot to offer in and of itself, but one of the most unique and exciting attractions is the famous mud baths and sulfur hot springs. The mud baths in Dalyan are famous for their medicinal benefit to your skin due to the rich nutrient content of the mud. It feels very much like the Dead Sea in Jordan as the bath is so densely concentrated with salt that you just float effortlessly on top of the water. Let the mud dry and enjoy the feeling of toxins being extracted from your skin. After you’ve had your fill of caking it on, take a quick dip in the lake to wash it off and enjoy your freshly detoxed skin! Added bonus: If you suffer from Rheumatic diseases, arthritis, eczema or any other similar conditions, the mud is said to relieve symptoms! Having cleaned yourself up, it’s time to move on to a smelly sulfur bath. Likewise, the sulfur bath is known to relieve rheumatism, hypertension, gout, liver disease, and a host of other ailments. As the natural spring is loaded with sodium, chloride, sulfur and calcium and sits at a piping 39°C (102°F), try to relax into the healing element and not think too much about the smell of spoiled eggs filtering through your nose. Extremely fragrant, but a really cool, different experience! A favorite spot for many of the guests on the cruise is Hamam Bay where you can swim among the ruins of a Roman bath called the Cleaopatra Bath. In this special cove, the volcanic structure of the natural hillside supports theories of the previous existence of a crater lake, which provided warm water to the bath in ancient times. Cleopatra is said to have ordered shiploads of white sand to be brought here from Egypt to create her own secret paradise. It’s rumored that Cleopatra herself came here to bathe in the bay and came with Marc Antony especially for their honeymoon. Another main attraction is the monastery ruins, most of which are located underwater. Unlike many other sites, Hamam Bay is yet to be protected so it’s possible to totally immerse yourself in the sites and surroundings while snorkelling over the ruins. The shoreline is lined with a stunning display of pine trees, and, if you hike up Yavansu Hill, you will discover the remains of Lydae Ancient City which includes the ruins of a mauseoleum, cisterns, temple walls, Corinthian columns and inscribed tablets from the Roman and Byzantine periods. As this area cannot be reached by land or road, and daily boat tours don’t visit this site, Cleopatra Bath was very exclusive to the Marmaris Blue Cruises. Of the group of 12 Islands, one of the most stunning experiences to be has is on Kizil Ada (Red Island). Here you can enjoy swimming in the crystal turquoise waters, and discover the rocks for some diving fun. There are small and large rocks alike for the ultimate diving experience. This is one of the best areas on the cruise for diving. The Red Island is covered in small red pebbles hence its name. There are many small private coves that you can seek out to enjoy some quiet, personal time. This is the ideal place to be at sunset as the sun lights up the red pebbles on the beach. The glowing effect is reflected all over the stones and into the surrounding water creating a breathtaking effect. Once you have had your fill of swimming and diving in the beautiful waters, head on shore to the lone lighthouse that is the outstanding structure overlooking the beach. At the top is a restaurant where you can indulge in a gorgeous seafood dinner as you overlook the sunset and glowing stones and sand on the beach while sipping on some wine or raki. Red Island is known to host some spectacular weddings and it’s hard to imagine that it can get any more romantic than this. The first time we actually started seriously thinking about taking a cruise was in Norway last week. We had never taken cruise ships before and hadn’t really considered it an option, until we thought of what an amazing experience it would be to cruise down the whole Fjords in Norway, all the way from top to bottom – or to be honest, any way really, as long as we could experience the Fjords. After having spent countless of hours on trains through Europe, we thought it would be nice with some change – and the best way to experience Norway seems to be on the water. We left Oslo with a promise – to return one day soon and take a cruise down the fjords. As it happens, a few days later, we hopped on our first cruise ship ever, not through the Fjords, but from Stockholm to Helsinki (with the InterRail Global Passes you get a pretty hefty discount). The ship criss crossed between the islands on the huge Sweden archipelago, and after so many train rides it was really fun to see the nature sweeping past in a different way. You’ll be amazed of how many Swedish people live on tiny rural islands 4 hours away from mainland! Although we only went for one night, it made us curious to try out a real cruise lasting for a week or more. Unless you’re working on cruise ships, taking a cruise is far from the typical backpacker style of travel, but who cares? Travel is travel, and I would like to try every angle of it – you never know what something really is like until you’ve tried it. So we’re thinking of testing it out, either in the beautiful Norway with its many harbor points, woolen jumpers and beautiful nature, or somewhere south where it’s nice and warm and you drink over-sweetened cocktails all day long, perhaps one of those many Mediterranean cruises. I’ve always liked the idea of doing some island hopping in Greece, so maybe cruising between the islands would be an idea. But then we have the typical problem that I always have at one point: Where do I want to go? Sometimes you wish there weren’t so many options to choose from, things would be so much easier then. Opening your mind to something new is always overwhelming, it’s like a jungle of cruise options out there. How do we avoid the Hawaiian shirts, line dancing and karaoke cruises? What kind of cruises do younger people take? What would a cultural cruise be like? … Choices, choices, choices …Romantic cruise??? What Can You Do On a Cruise? Cruise holidays may have once been the choice of the older generations and travelers with a passion for bingo and ballroom dancing, but today there is a cruise holiday to suit every kind of adventurer and explorer. 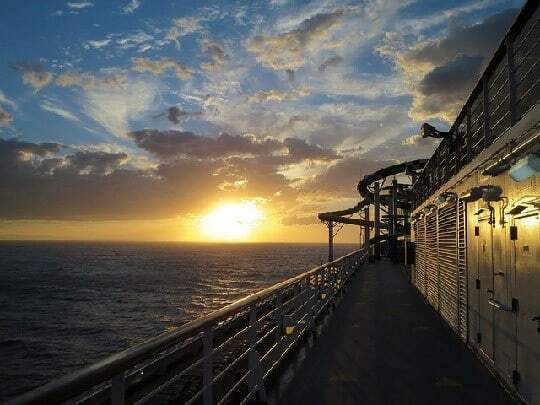 Here is just a taste of what you can experience when you book a cruise holiday. If you are looking for activities to cool off, then don’t forget your ice skates! Voyager of the Seas, operated by Royal Caribbean, offers ice skating to guests and produces professional ice skating shows for entertainment. Don’t take our word for it though, check out the rave reviews of this vessel, written by fellow travelers to help you pick the perfect cruise for you. If you want to surround yourself in luxury, a Celebrity Cruise is a great option. Since its launch in 2001, the Infinity ship has given the industry a few ‘cruising firsts’ – namely the beautiful botanical gardens. You can escape the sea breeze at the Celebrity Infinity conservatory, which is filled with a myriad of flowers, trees, gardens and fountains to enjoy both day and night. After a hard day glacier trekking in Alaska or snorkeling in the islands, you can relax watching your favorite Broadway musical. Creative ship designers at Royal Caribbean, for example, cater to all tastes with their built-in theater productions. 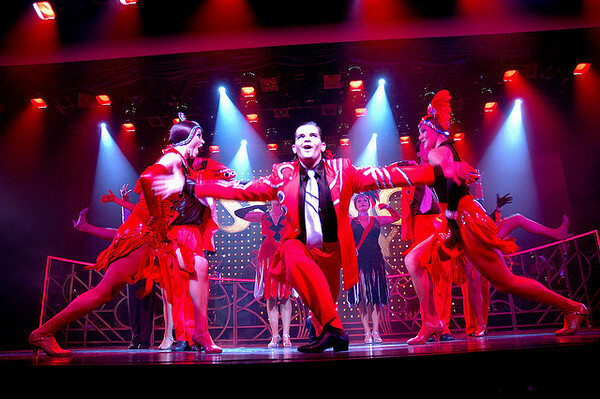 Other Cruise Lines also produce first class shows and entertainment, as well, ranging from the Blue Man Group to Cirque. With so many liners raising the standards of cruise holidays beyond all previous experiences, the industry is enjoying a fresh influx of younger singles, couples and families. Have you dreamed of seeing the world without having to unpack? Maybe you’re expecting a nice rebate from filing your taxes or thinking about a nice summer vacation for the kids. 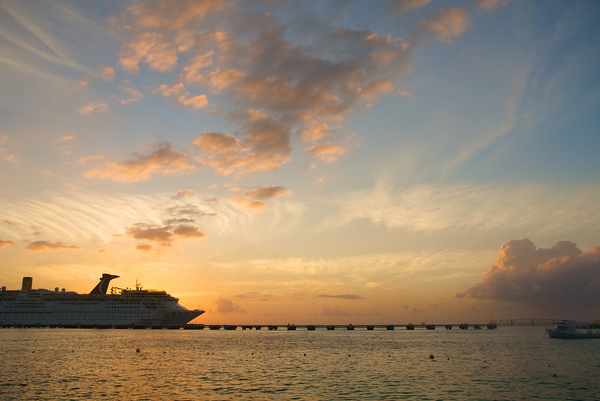 Cruises are a great way to travel without having to become a nomad. With careful planning, it is possible for you to cruise away and circumnavigate the world. Cruising is a cost effective way to see magnificent vistas and experience the rich cultural life at the many ports of call whilst having the highest level of service and amenities available at your convenience. This highly rated liner needs no introduction and with its reputation for grandeur and elegance you will enjoy a truly remarkable world cruise. Discover the unique charm of Asia by visiting Bangkok and Saigon, then spend time in beguiling Hong Kong. Next stop is Shanghai before heading down under to the rugged coastlines of Australia and New Zealand. Take in the spectacular scenery of Africa and the Mediterranean and gaze in awe at the natural beauty of the Americas. Cruising across four breathtaking continents will leave you with lasting memories of your amazing world cruise journey. Take a journey of exceptional discovery with all-inclusive value. Complimentary fine wines, premium spirits and gratuities for staff are all part of the Crystal package. The 74 day cruise is broken up into four exhilarating segments. Visit Europe, Africa, the South Pacific, the USA and everywhere in between on this exceptional and luxurious cruise. Take advantage of your free airfares when connecting with your grand voyage. As part of your six star luxury cruise you will enjoy complimentary shore excursions, complimentary beverages plus much more. Cruise to exotic destinations and be spellbound by the aromas, sights and scenery of all there is to explore. Embark on your odyssey aboard one of P & O luxury liners. The Azura, Arcadia or Aurora all has in-depth itineraries that will take you on an exotic journey of up to 110 days. Your cruise will call into 32 ports within 20 different countries. You will enjoy the classic cruise traditions such as the Captain’s cocktail party and afternoon tea plus exceptional personalized service from dedicated staff. Your fascinating itinerary will take you to stunning cities and intriguing places, whilst enjoying a level of comfort that is only available on a luxury world cruise. Explore the globe across five continents and visit many exotic ports of call. You will also visit lesser known ports and view the spectacular scenery of nature at its best. A world cruise is a commitment to spending endless days at sea, relaxing and enjoying on board activities and then joining in the wide range of on shore excursions. What items are a must for Traveling? Because of the length of time you are spending on board, you can enjoy things at a slower pace. Guests on long cruises can take comfort in the fact that they are in a safe environment. There is no need to rush around as you would do if you were on a shorter cruise. This type of cruising is for everyone, not just the retired. In fact, many world cruise passengers are made up of families, retired, semi-retired and those who are still working. Some people work and then take their long service leave so they can live their dream of ‘a world cruise’. Cruising in Europe is very popular as you get a chance to explore so many different countries and cultures in a short period of time. When planning to cruise Europe it can be difficult choosing which region to cruise in if you don’t know what to expect and what makes them different from each other. Although not your most common holiday destination, a cruise around Greenland and Iceland is one of the most adventurous destinations in Europe. Experience the Northern Lights, soak into hot natural pools in surroundings that are well below freezing temperature, and explore the small villages and local traditions. The nature in Iceland is among the most beautiful in the world – and not everyone can say they’ve been to Greenland – not everyone does tours to these places has several options for these types of cruises. While the Brits have known of the country’s beauty for centuries, others are now discovering just how spectacular the UK is, with a great mixture of cosmopolitan cities and rural natural beauty. From the pub culture in Dublin to the Beatles nostalgia in Liverpool, there is plenty for every taste. The beautiful Baltic is emerging as a popular cruise destination, and understandably so as many of the best places can only be reached by boat. To see the Baltic gems Stockholm, Helsinki, Tallinn and Riga for example, it’s much easier and faster to do the trip on a cruise – there are also some fantastic small places to stop over by, such as the holiday island Gotland and Klaipeda in Lithuania. Cruising in the Mediterranean remains the favorite among Brits, and it simply has it all; great weather, delicious food, plenty of culture and spectacular old cities. Greece and Croatia offers gorgeous beaches and small seaside villages, Italy with its historical cities and the glamorous French Riviera are just a few stops you can choose from when cruising in the Mediterranean. With its year-round mild climate and sunny weather, the Canary Islands have long been a favorite destination among European holiday makers. Each island has its own charm, and on a cruise you won’t have to choose just one, but can explore the black volcanic beaches in Lanzarote, the deserts of Gran Canaria, and the lush nature of Tenerife, which also has the largest penguin population outside of the Arctic. Hopefully this will give you a good indication of what to expect from these different cruises in Europe, and help you decide which one to choose! Mediterranean On Cruise Ship – Backpack on your back, public transport, smelly hostel dorms and sweaty gap-year students not appeal? Well, backpacking isn’t the only way to discover the Mediterranean in one holiday. Instead, why not travel the Mediterranean in style, atop the deck of a luxury cruise liner, basking in the hot sun as the ocean sparkles below. There’s a great selection of cruise ships that sail the Mediterranean, so you shouldn’t have a problem finding one that suits your needs. If you have some specific destinations in mind, then you’ll be able to find a number of ships that pass through them. You can also find cruises tailored specifically to your wants or interests, whether they’re cultural and historical trips, or something tailored to a family, with plenty of activities and entertainment. All cruise fleets are fantastically equipped to ensure that your trip is as enjoyable and comfortable as possible. 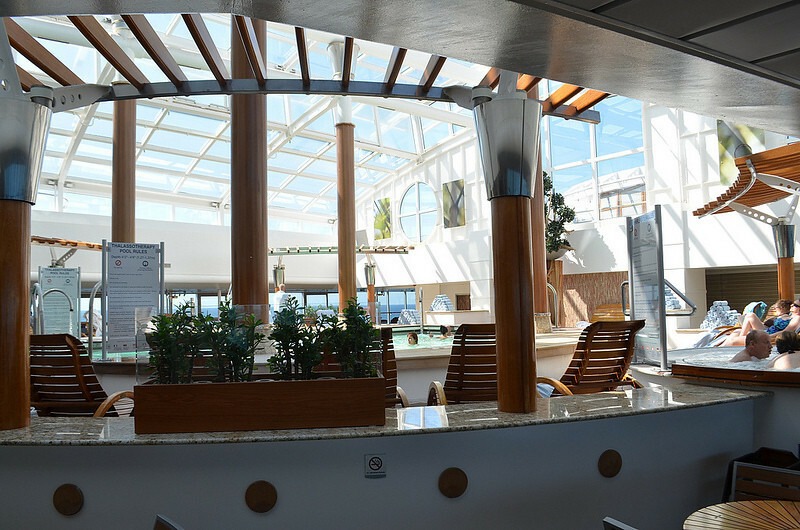 There are good quality restaurants on board, along with bars and pools for you to lounge by. Some even contain quality spa services to help you really unwind after a day of exploring. There will also be activities and shows to keep you and your family occupied throughout the day, when you’re not at port, and in the evenings. When some people think of cruises, they imagine cramped little cupboards, but the reality is far from this image; cabins are built to be as inviting and as roomy as possible, with your comfort being of the utmost importance. Another misconception is the price. Most people expect that cruises are going to be extortionately expensive, but that just isn’t the case. 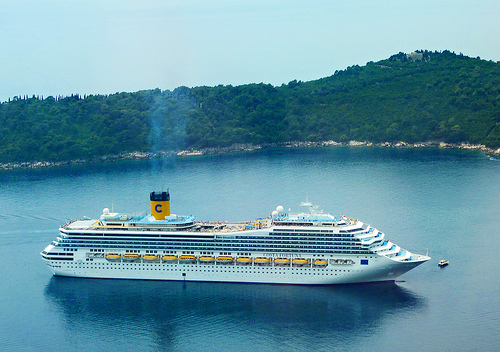 Mediterranean cruises with the Co-operative offer great affordable deals. A trip on Royal Serenade of the Seas to the Suez Canal for 15 days will cost only £449 per person. This is one of Royal Caribbean’s newest cruise ships, which offers one of the best ‘at sea’ experiences you’re likely to have. It’s been built with comfort in mind, with loads of space and sweeping ocean vistas. There’s also the huge, ten-floored glass Centrum, with glass elevators, which offers magnificent sea views. There’s also the highest percentage of outside staterooms of any ship in the Royal Caribbean fleet. Whatever you’re looking for – whether you are looking for a long, sea-faring adventure or just a short trip around the Mediterranean. The Co-operative are bound to have a deal that suits you. Whether it’s the Greece and Athens in the Eastern Mediterranean that piques your interest, or the great city of Rome, you’re sure to find a trip that does your desired rounds.